J.P. Morgan Asset Management adds an ETF, and Nasdaq said it would buy the RIA and research firm Dorsey Wright & Associates. JPMorgan issued a new ETF. New products and changes introduced over the last week include an announcement by PIMCO and Research Affiliates that they are adding new equity strategies; a new ETF from J.P. Morgan Asset Management; and Nasdaq’s announcement that it would acquire Dorsey, Wright & Associates. Also, W.E. Donoghue & Co. added a new class of shares for one of its funds, and Goldman Sachs Asset Management has changed the name of one of its funds to reflect a repositioning of its strategy. PIMCO and Research Affiliates LLC announced that they are extending their relationship to include a global range of seven additional equity strategies. The seven equity strategies involved in the expanded collaboration between Research Affiliates and PIMCO will cover U.S. large, U.S. small, international, international small, emerging markets, global, and global ex-U.S. They will select stocks using Research Affiliates’ RAFI fundamental index methodology, which picks and weights securities based on fundamental measures of company size rather than security price, and then refine weights using additional measures and processes designed to enhance risk-adjusted returns. J.P. Morgan Asset Management (JPM) announced the launch of the JPMorgan Diversified Return Emerging Markets Equity ETF (JPEM), which seeks to provide investors with enhanced risk-adjusted returns and to help financial advisors keep clients invested in equities over the long term. JPEM addresses drawbacks inherent in market-cap-weighted indices, specifically excessive risk concentrations and a large number of securities with unattractive characteristics. The ETF tracks the FTSE Emerging Diversified Factor Index, which employs a framework to distribute risk across regions and sectors and a multifactor stock filter to rank and select stocks based on value, quality and momentum. The index construction also incorporates quarterly rebalancing and liquidity screens. Nasdaq has announced that it will acquire the RIA and research firm Dorsey, Wright & Associates LLC (DWA). The deal is expected to close in the first quarter of 2015. Subject to customary conditions and approvals, Nasdaq will acquire DWA for $225 million funded through a mix of debt and cash on hand. 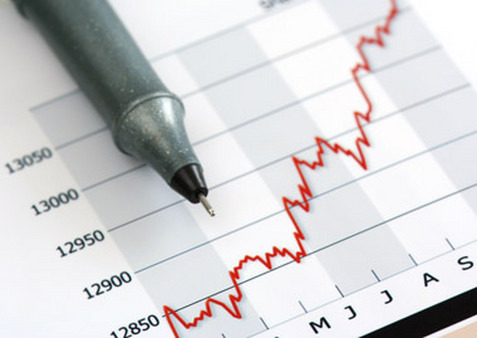 Nasdaq’s creation of indexes, its relationships with ETF providers, and DWA’s analytical capabilities and smart-beta models are expected to lead to new products in more asset classes, including fixed income, currencies and commodities, and facilitate international expansion of the DWA offerings, beginning in Canada and Europe. W.E. Donoghue & Co., Inc. has announced the introduction of class C shares of its Power Dividend Index Fund (PWDAX; PWRCX). The fund attempts to generate income by utilizing WEDCO’s proprietary Power Dividend Index, which isolates the top five dividend-yielding stocks in each of the S&P 500 Index’s 10 global industry classification standard sectors. In addition, WEDCO uses an intermediate-term tactical overlay to position the fund bullishly or bearishly, depending on market developments and outlooks. Goldman Sachs Asset Management has announced the repositioning of the Goldman Sachs Municipal Income Fund , a move that expands the duration range while allowing for greater flexibility across the entire credit quality spectrum. In addition, the fund’s name has been changed to reflect the new strategy and is now the Goldman Sachs Dynamic Municipal Income Fund (GSMIX). Previously benchmarked against the Barclays Municipal Bond Index, the fund is now benchmarked against the Barclays Municipal Bond 1-10 Year Blend Index. This enables the portfolio management team to take advantage of new flexibility within a 2-to-8-year duration bandwidth. Read the Jan. 3 Portfolio Products Roundup at ThinkAdvisor. The Investment Company Act of 1940 prohibits Issuers from using “materially deceptive or misleading” names.